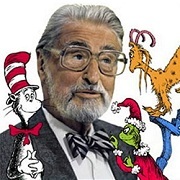 A list of the Dr. Seuss books by Theodor Seuss Geisel in the order they were published. Each time Bartholomew Cubbins attempts to obey the King’s order to take off his hat, he finds there is another one on his head. When the King’s stilts are stolen and hidden, and he can no longer enjoy his play hour, the whole kingdom is threatened with destruction until a page boy bravely saves the day. 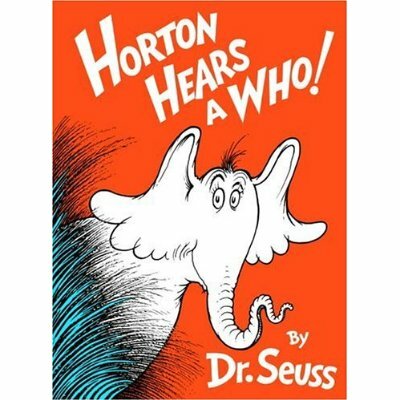 When a lazy bird hatching an egg wants a vacation, she asks Horton, the elephant, to sit on her egg–which he does through all sorts of hazards until he is rewarded for doing what he said he would. A boy imagines the rare and wonderful fish he might catch in McElligot’s pool. An ooey-gooey, green oobleck was not exactly what the king had in mind when he ordered something extra-special from his royal magicians. If Gerald McGrew ran the zoo, he’d let all the animals go and fill it with more unusual beasts–a ten-footed lion, an Elephant-Cat, a Mulligatawny, a Tufted Mazurka, and others. A city of Whos on a speck of dust are threatened with destruction until the smallest Who of all helps convince Horton’s friends that Whos really exist. 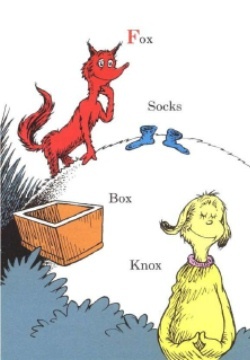 The Cat in the Hat leaves a big pink ring in the tub and moves it from place to place with the help of his alphabet friends. 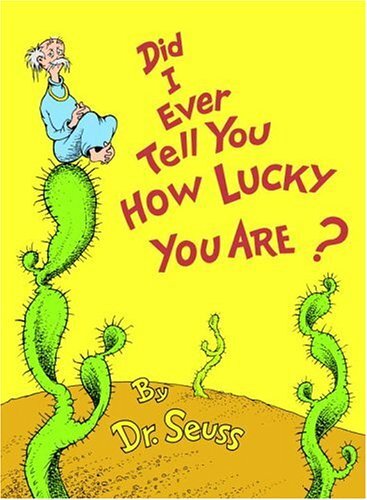 A funny adventure as the main character tries to get to Solla Sollew, a place where there are no troubles. 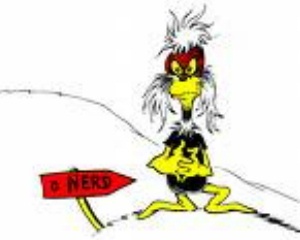 This classically wacky songbook contains 19 Seuss-songs for the beginning singer. 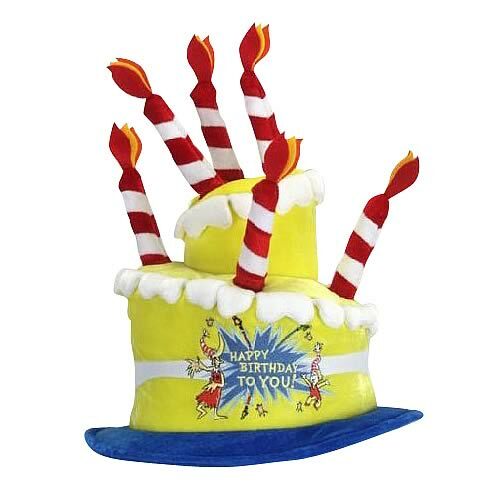 There are lively songs like “Plinker Plunker” and “The No Laugh Race,” bedtime songs like “Lullaby for Mr. Benjamin B. Bickelbaum,” and just plain silly songs like “Cry a Pint.” With a sturdy binding that opens flat for easy use, and simple piano and guitar arrangements, The Cat in the Hat Songbook is truly something to sing about! Beginner’s text describes all sorts of feet doing all sorts of things. 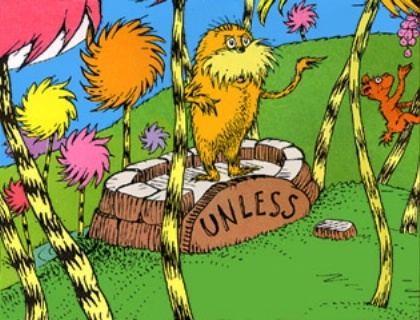 When the Truffula trees are all chopped down, a once-beautiful forest suddenly becomes a smog covered dump. 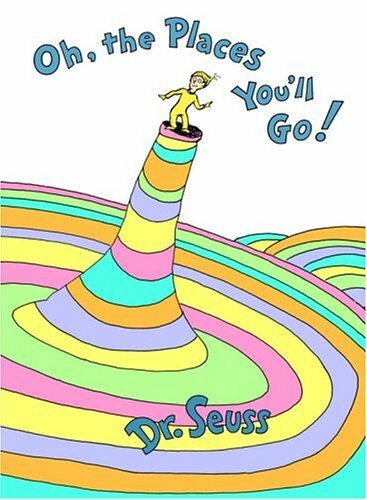 Suggests in rhyme a number of ways for Marvin K. Mooney to travel as long as he gets going–now! A household of unusual creatures help beginning readers recognize common “household” words. Relates in verse some of the unusual thinks you can think if only you try. Young Mayzie McGrew becomes a worldwide sensation when a daisy grows out of the top of her head, and everyone attempts to get rid of it.